Just five years ago, no one had heard of Zynga or the bubblegum-colored cartoons that inhabit its various themed universes. 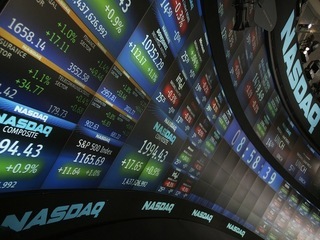 Now the San Francisco start-up is valued near $8 billion and is ready to debut on the Nasdaq by the end of the week. 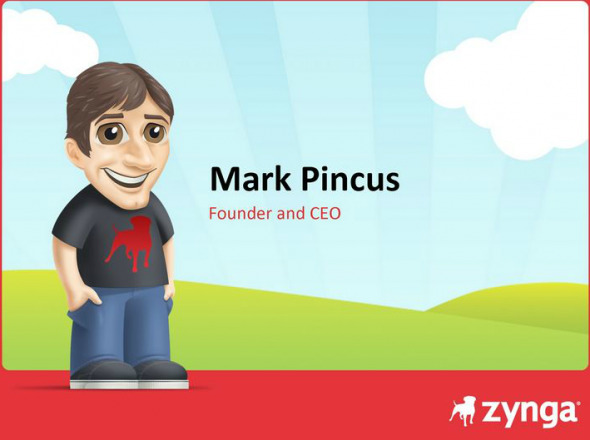 The story behind the runaway success of Zynga starts with a competitive entrepreneur with a slight build and a taste for off-beat investments -- Mark Pincus. 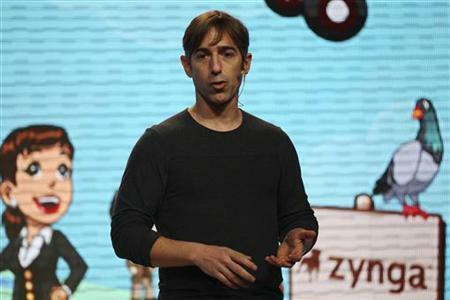 Before Zynga was even a twinkle in Pincus' eye, he founded several companies including Tribe Networks, one of the first social networks, founded a year before Facebook. Pincus founded Tribe, a social network, back in 2003. Its technology was sold to Cisco Systems in 2007. He also founded SupportSoft, which went public during the dot-com bubble, and Freeloader - the company that fostered another serial entrepreneur, Sean Parker. Over the years, Pincus had earned a reputation for being a tenacious leader and doing whatever it took to get his company to get more users and awareness, including ignoring many investors and partnering with Facebook for its credit-sharing system. 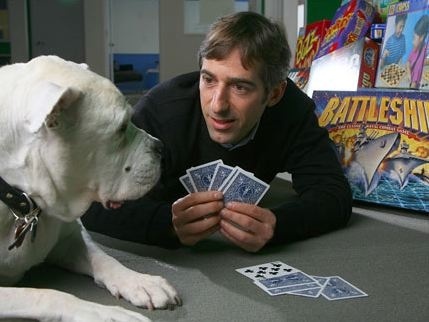 Since the day Pincus named his company after his bulldog Zynga in the summer of 2007, he has touted only the most ambitious expectations for the social gaming company that started with just one Texas Hold 'Em Style-poker game, now known as Zynga Poker. With a small but inspired team at the very beginning with Pincus, Eric Schiermeyer, Michael Luxton, Justin Waldron, Kyle Stewart, Scott Dale, John Doerr, Steve Schoettler, Kevin Hagan and Andrew Trader, the gaming team funded their efforts until some of the big names in VC started to see the potential. Within one year of leading the company, Zynga had collected $29 million in funding and Pincus started recruiting a fair share of the gaming talent in Silicon Valley. Early Zynga investors included Kleiner Perkins Caufield & Byers, Union Square Ventures, Foundry Group, Avalon Ventures, Reid Hoffman and Peter Thiel -- all Internet tech mainstays. When Pincus led the company toward the world-building games that were already dominated by EA's Sim's variations, he had to shrug off criticisms that such a young, small company couldn't compete in that space -- especially without the console gaming support that EA had. When experts claimed it would take 10 or more years to break into the top of the gaming space, Pincus estimated he could do it in seven years. He really did it in four. Calling Pincus a control freak would likely be a fair labeling since he made sure that as when his company filed for public trading, he would carry 70 times more voting power than the standard A shareholders, trading off the substantial equity he could have carried for more than 37% of the voting weight -- roughly seven times that optioned for LinkedIn's management. This dedication for the company he built -- one that grew into a $1 billion enterprise in less than five years -- has put him at odds with VCs and other gaming companies in the industry. Pincus himself admitted to Business Week that he went "too far" on occasion in order to generate more revenue and created a lonely, but dependent and profitable monopoly between Zynga and Facebook. A significant 15-20 years older than most young startup founders, Pincus holds less name recognition than Biz Stone, Jack Dorsey or Mark Zuckerberg but seems to approach business deals with the spry risk-taking nature that many of his younger peers have in the tech industry -- perhaps because of his past on the other side of the fence, in VC investments. Pincus was an early investor in some of the riskiest companies to woo Silicon Valley dollars, including Napster, Facebook and Twitter. And he quickly became one of those risky investments with tremendous potential. While most gamers were familiar with the pay-to-play model where they had to invest in games and consoles, gaming companies were depending on new versions to bring in steady revenue since there was no limit on the amount of time users could use a single game once they purchased it. 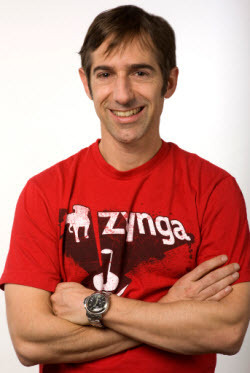 In 2008, Pincus was firming up the concept that would make Zynga a multi-billion-dollar enterprise, and used the frustration he felt when playing his most worthy opponents, his kids. Soon he realized that many people, not just parents, would be interested in paying for gaming advantages and soon social gaming wasn't complete without digital upgrades. Social gaming company CEO Lisa Marino told me that so many companies underestimated just how much money users were willing to spend and once they started to realize, the revenue capabilities opened up drastically. 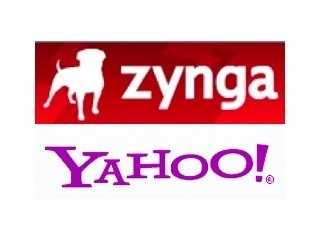 "We all were learning alongside Zynga as we created our revenue models," said Marino. "When we were thinking the upper limit was closer to $10-$20, it was really exponentially higher and all of us left a lot of money on the table during those learning years." With more than 227 million monthly average players, Zynga still only captures revenue from less than 3% of its users, though those users are loyal and with deep pockets. While the company has shown continued growth in its usership and revenue, Pincus had the challenging task of educating investors on the multi-pronged and complicated business structure of social gaming, something that hadn't been done in the US before -- but Pincus did so with unwavering confidence, as he always has. 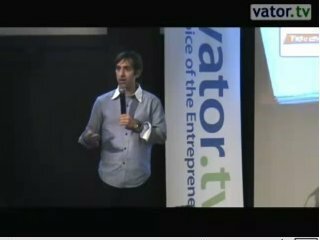 Last year, Pincus was a speaker for one of Vator's conferences, Vator Splash and answered the nagging question, 'When will Zynga go public?' And much to his 'all-in' personality, he responded: 'Why?' Why on Earth would you go public if you want your company to be sustainable and to last? I get really confused why anyone would go public," continued Pincus, "I've gone public before. It's not an exit, it's an entry." In tech time, where a year is a century, CEOs quickly forget how things change, and mere five months later, Pincus was signing the SEC forms to go public. That tune about IPOs being exits was replaced with his fervor for growth. In the IPO roadshow video that posted for investors, Pincus explained how excited he was to "leverage the Zynga platform and bring our games to market in a way that is scalable and repeatable," which clearly means getting the capital support that public stock funds provide. The road to get its shares on the board was a rocky and critical one for Zynga, since many thought it was too soon for the young company to prove its market success and traction, but Pincus showed no sign of doubting the powerful gaming giant he had built from the ground up. Last week, Pincus stated that Zynga would be able to double its paying users after IPO, but he conveniently didn't not give a timeline that this jump would happen. The Harvard Business alum has remained relatively silent through the IPO period of his company and has gotten his share of criticism about the company's continued dependance on the Facebook usership and platform but each time he makes a statement he seems to be alluding to a strong, independent future for Zynga. Even the cautious estimates of Zynga's IPO still fair well for Pincus and are sure to keep him running on all cylinders to prove critics wrong -- it wouldn't be the first time they were.